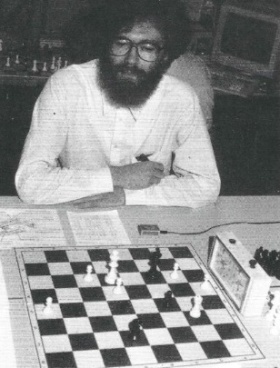 a series of microcomputer chess programs by Harm Geert Muller (HGM), written in assembly for 6800 (Usurpator I) and 6502 (Usurpator II), published with listings as a regular book , also adapted for the Acorn Atom   . 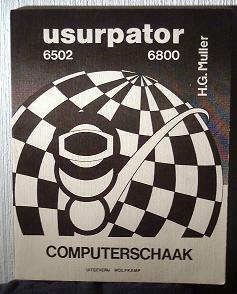 Usurpator participated at eight Dutch Computer Chess Championships, with some gaps seven times in the period from 1981 until the 10th DOCCC, where Usurpator competed as matchbox computer  . In 2005, 15 years later, Harm Geert Muller was invited by the CSVN to play the 25th DOCCC, and he rewrote Usurpator in C (Usurpator V), to run on a laptop, which was 10,000 times faster and had 100,000 times as much memory as the matchbox computer. Since the program was not designed to play that fast, it was thinking much too far ahead at the expense of immediate threats. 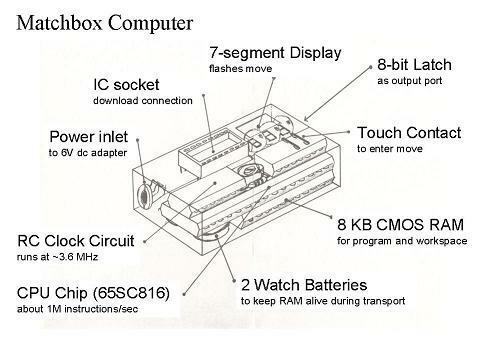 In that early times end of the 70s and early 80s when Harm Geert Muller developed his first programs, he had Alpha-Beta initially wrong in Usurpator I, since it omitted the deep cutoffs and was not passing alpha through the recursive call. After tracing the search tree HGM got aware and found out how to do the deep cutoffs, re-discovering Alpha-Beta by himself for Usurpator II  . This page was last edited on 11 December 2018, at 11:28.